Dominique Brinson takes a plate for lunch at during the Kick-Off BBQ of the University of Alaska Fairbank’s 2012 Spring Fest. 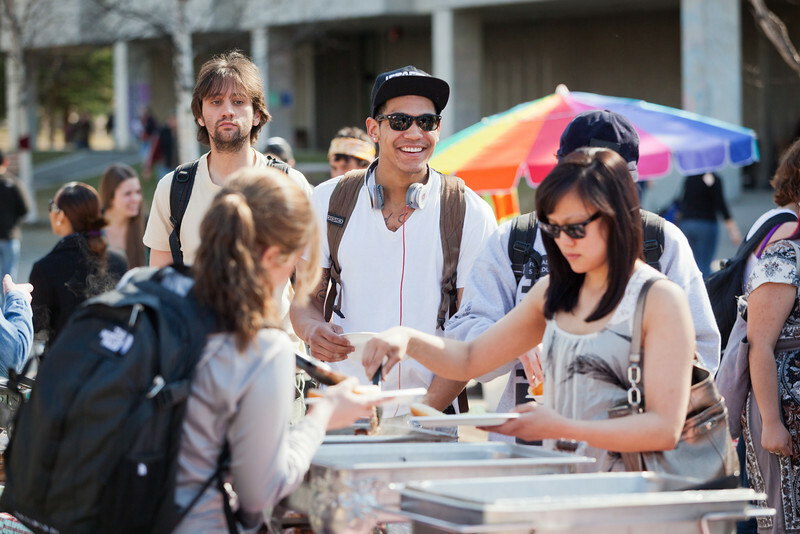 Many students attended the lunch starting off the three day festivities. Dominique Brinson is all smiles during he kick-off barbecue of the 2012 Spring Fest activities.